We have trapped some huge spiders in our downstairs areas. This really works, and it's safe. Been buying product for years. These are awesome & easy to use! Along with multiple spiders, I've caught snakes, mice, lizards, and other unknown creatures! I left some of these spider traps in my basement and didn't check on them for months. (I hate spiders and didn't want to deal with them!) They all caught spiders. One of them caught a small snake. I can only imagine the snake was going after a cricket that was caught in the trap. We bought these for our vacation home because I was tired of encountering cob webs between visits. I put out six of these before we left and was amazed to find most of them with multiple dead spiders trapped inside upon our return a few weeks later. Some traps had 5-6 spiders each. Who knew there were so many of the creepy crawlers? I have since ordered three more packages so I can put out fresh ones every few months. There are FAR fewer spiders and consequently fewer cobwebs since getting these. I use these mostly in the cellar..When it starts getting cold outside, they like my nice warm cellar..I also use them at our camp..In the trailer and under it..Spiders are very large around the water..And I hate spiders..These traps are very easy to use and they really work..I have even gotten a few mice in them.. If you don't like Spiders you'll Love these traps! I fold them and put them in the spiders path. Easy to use and I highly recommend them. There safe also. Easy to dispose of too! I look forward to buying them every year. This year I'm stocking up on them if the critters weren't invited to stay their leaving my home asap. Thanks for making these there the best! We will begin setting these spider traps in the summer. We'll be using these to trap rather large, prolific spiders who try to come into our home in the Autumn. Our pets live inside, and we don't want them (or us) bitten by these creatures. We place the traps in hidden and dark areas, so that our pets won't get into them. I'm confident they'll do the job, as my Dad used a very similar product many years ago, and he was very happy, as they worked beautifully in his basement. THE BEST THING TO TRAP SPIDERS! I have bought several sets so far and I wish there was the option to upload a picture. It is an A-M-A-Z-I-N-G product!!! My home is extremely clean, the neighborhood is in a nice area, therefore I was surprised that 3 of these traps set in my basement trapped around 45 spiders of different colors, sizes and kinds in a period of ONE week!!! I will keep buying the traps and I already order more for my kids' homes. I order these all the time. I love them. Well worth te price if you have spiders in your home. I put the traps where spiders travel on their paths and they crawl or try to crawl through the trap and get stuck and die, Good to try even if you don't think you have spiders, you'll find out YES YOU DO HAVE SPIDERS IN YOUR HOME! I have purchased these spider traps for several years and they work for me. I put them in the bedrooms, bathrooms and other rooms. When I change the spider traps, there is always some type of insect in there besides the spider. I will continue to purchase them as long as Miles Kimball has them. Compact and very sticky. Woked well. The Spider Traps were really easy to assemble. I really feel at ease knowing they are down and waiting for spiders to walk in. I only bought six but, will buy more after the six months are up. I liked the affordable prices for the six that comes in one package. These Spider Traps will be on my shopping list with Miles Kimball for some time! I don't have a spider problem. I live in the South and roaches can be a problem. 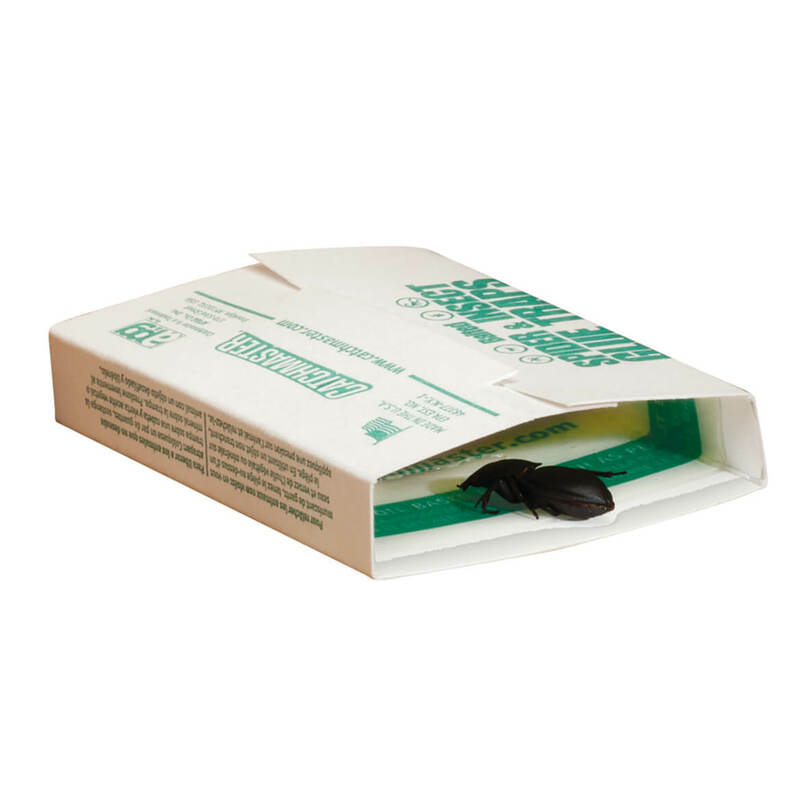 I have bought and used these for years and they work great for all crawling pests. I lay them out flat so I can catch even more bugs. These spider traps work great! I have used them for a couple of years now and continue to do so. They collect a lot of different bugs. Easy to use, easy to dispose of. I place these spider traps under sinks, on night stands behind things, in closets on the shelves and in my computer room and any place I see a spider lurking around! We have two doors directly into our house, no steps, so bugs try to get in. The traps are put by the hinge side of the doors and stop spider, roaches and other bugs that happen to get in. I ordered these for my daughter last spring. They worked very well trapping all sizes of spiders coming out of hibernation. They were placed along walls in the house and in the garage and lasted quite a while before needing replaced. They're super simple to use, and no toxins so they're safe to be around house pets. It was surprising to see how many spiders were caught. I just re-ordered quite a few to use as stocking stuffers for everyone in the family. You can't go wrong when something works ! 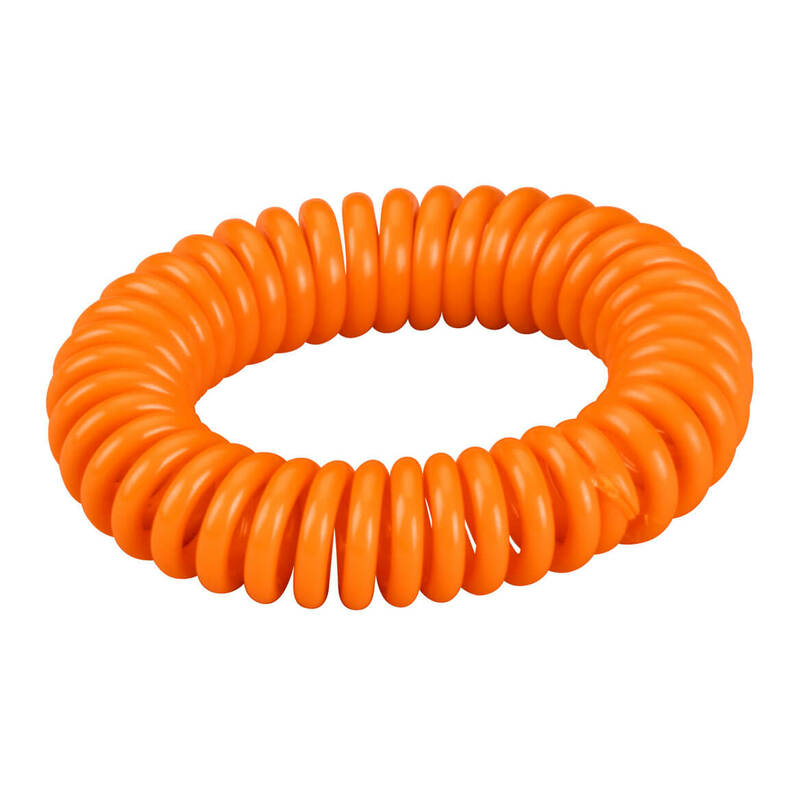 Great for spiders, ants or any little critters crawling around. I put them by ll entry doors and any path that they crawl along, especially baseboards. Effective and last longer then 3 months unless full of bugs Be careful not to stick fingers on patch or difficult to get loose! Great product and I will continue to order more. I will continue to use these forever! I think there are always spiders in basements so I use these spider traps there and I'm amazed at how many spiders they trap! I'm so glad they are in the trap and not crawling around the room. Can be placed anywhere. Easy effective way to stop spiders and other crawling bugs from entering the home. I use them in the garage window sills and in corners in the home where spiders tend to linger. These Catch Spiders and Much More! I've been using these traps for years in the basement, around the house and on our porch. Last year I went down to the basement and noticed one of the traps was about 2 feet from where I had placed it along the wall. It turns out there was a small, dead mouse inside. That was a first! I will continue to buy these as long as they are available. I will keep on buying these! I use these in the corners of our finished basement, where I tend to see spiders in the spring. Works great on large black wolf spiders. Wispy, daddy-long-legs type spiders are not attracted, but they don't bother me as much as the wolf spiders. Ever 3-4 months I replace. In the spring, they are loaded with dead spiders. I have not found another product that works better. Easy to assemble too. This worked for us! Buying more! Caught tons of all sorts of bugs, spiders included. Just threw out a completely full one... Ew! In an older house, it's hard to seal all the entry ways, and these are safer than chemicals. These Spider Fighter traps are great to control house spiders placed both inside & outdoors at entrance doors. For outside: place one on either side of door, wrap baggie around to prevent rain corrosion. For inside: place at baseboard ends and in dark lurky spots like under furniture & beds. 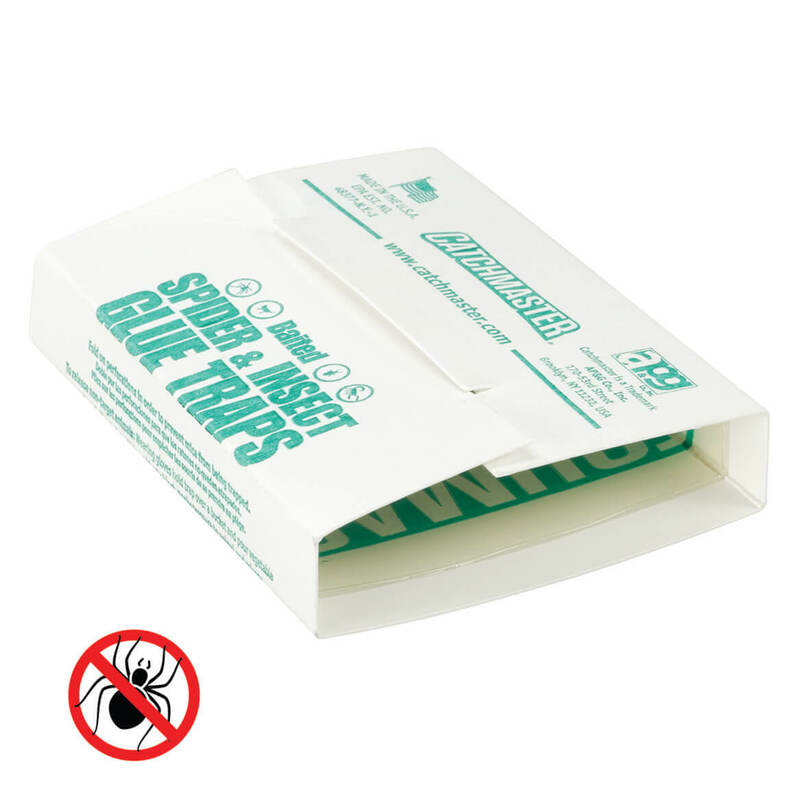 These really work, no more worries about spider bites, and safe odor-free product that is really easy to assemble, just fold together. I bought several years ago and they sure do work. Not only did it catch spiders but it caught a bee, centipede and other insects. I buy on a regular basis. These work great! We live in the country, and I am really scared of spiders. Every spring and fall, the spiders head indoors. I put one on each side of each of the doors and they catch them before they get too far. I will always have them on hand! I have the spider boxes along the walls upstairs. I hope they will work. We use this product in our basement garage. We have found the traps to be effective; they even catch other critters. I have recommended this product to two friends who are also enjoying their effectiveness. The assembly of them is just a minor thing. love to see all the DEAD spiders I get to throw away! better in the traps than on me! Used in bathroom, kitchen and livingroom. Have one in every room of the house and my spider worries are taken care of. Have used these for the past 3 years and will continue. Have recommended them to everyone. "I buy this product again and again"
I use the spider traps in the garage and on my enclosed patio. It really does the trick almost as well as the professionals. And it is based on their traps. These work well enough. Some of the reviews criticize them for not eradicating bugs, but you have to be realistic. These are just sticky traps...if a bug happens to crawl on one it gets stuck and dies there. There are no lures involved. You have to place them in strategic areas - like along walls or dark corners, wherever bug movement is the most. That gives you the most chance to catch them. They are basically the same thing the professional bug company I hire uses. Use common sense, you may also have to spray and find other methods to kill the majority of bugs, but these definitely help. I've even seen wasps and bees caught on some traps I have in the basement, in addition to creepy crawlers. I buy these several times a year. I have gotten crickets, baby spiders, they fill up quickly. It really works. Works very well at catching any crawling bugs. Stick behind furniture on floor along walls, inside cabinets or closets in corners, in attics or basements, etc. Holds alot of bugs and just discard as needed. Awesome!!! Placed 6 around house & next morning all traps had a spider. I HATE SPIDERS!!! Wish they were of heavier construction to place outside. I put the spider traps in all the rooms in my home. I find that not only do they trap spiders but other insects that are crawling around. I also found a bee in one of the traps and a centipede. I live in an area that there are no poisonous spiders, I hope!!! I just want to catch the spiders so they don't crawl in my bed. I only see one now and then so I'm happy. Wish they would work with ants also. Will let you know if they do in the spring! I use this product in my craft shop to keep pest down and customers cannot tell they are there. Just put them out so haven't had time to report success or not. It works. This one has a bigger opening than other models which works better. Twenty-five year old daughter has an absolute phobia of spiders. Just moved into her own place... Simply -- peace of mind ! This spider box trap really works!!! I've used them in the past and wanted to keep a few extra on hand. Our RV is in a wooded area, spring to mid summer we have lots of spiders. They find a way into the RV no matter how careful we are. All I can say is that they really work! There is no mess, you just fold and place them where you need them. No messy bug sprays. Oh I love this, I forgot to order more, they work, I couldn't believe how many these traps caught. This really did not work as well as the "mouse" glue traps, which are great for spiders and crickets in the garage. I've been using them for years. They really work. These traps are great to set in the closet or anywhere spiders might hang out. I have a lot of problems of spiders in my home. I hope these will help control the problem. We have spiders in the basement!!! I thought I'd try them out. 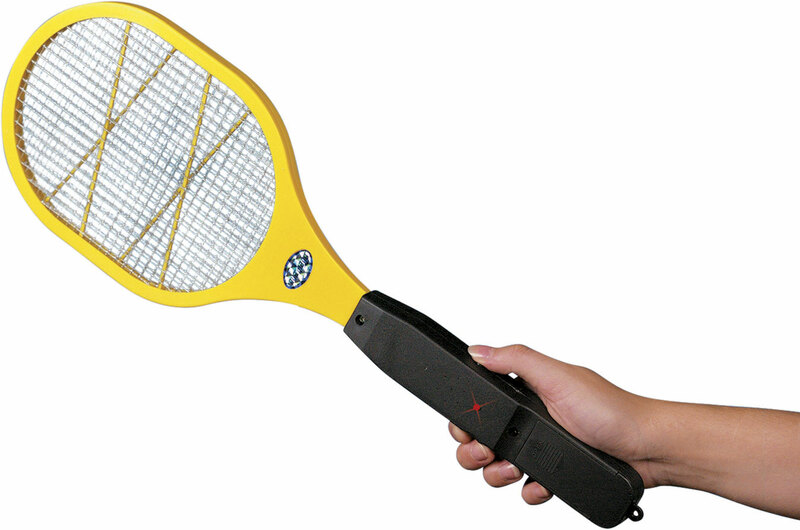 To catch spiders when the weather changes from late fall to early winter. So far I have yet to trap any spiders. :( Great idea but spiders around here must be pretty smart! Spiders gather in the corners of the bottom of my bookshelves. It is difficult to bend to clear them out. I wanted to see if this would help. To help control the Spiders in my Travel Trailer. I have crawling bugs in my apartment and I hope this will help catch them. It's fall and the spiders are looking for inside homes and I prefer that they stay out of mine. I've had them before and caught many crawlers. To get rid of the spiders that come into our house this time of year. I've purchased these before and they really do work. Can't live without these little boxes! They really do the job. The price was right - I know I will be re-ordering them as long as they have them. I can put in small places /corners and get spiders. I have used this product for many years with great results. These work great, not only for spiders. I used this before and it works. Did not want to use sprays thought this would be safer for health.